Sussan Talamas never stops smiling. She smiles when she talks about the culture shock she experienced when she first arrived at Abilene Christian – a native of Torreon, Mexico, living in West Texas with a Japanese roommate. She quickly learned not to greet her peers with a kiss on the cheek. She smiles when she talks about her biology and chemistry professors, men and women who know her by name and serve as mentors. And she smiles when she talks about the transformation she has encountered here, a 12-hour drive from home. 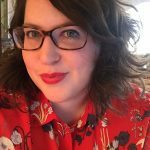 When she arrived, she considered herself agnostic and didn’t think her passion for science left room for faith. The senior biochemistry major is one of the most energetic cheerleaders for the sciences at ACU you can meet. 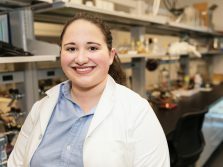 She’s excited for what is possible, from her research assisting Dr. Kathleen (Spivey ’06) Lee in synthesizing amino acids with certain compounds to form drugs that can battle underserved diseases, to her future in medical school and beyond. And she’s excited – and smiles – about the new facility she calls home as she studies, researches and prepares for what’s next: The Halbert-Walling Research Center. 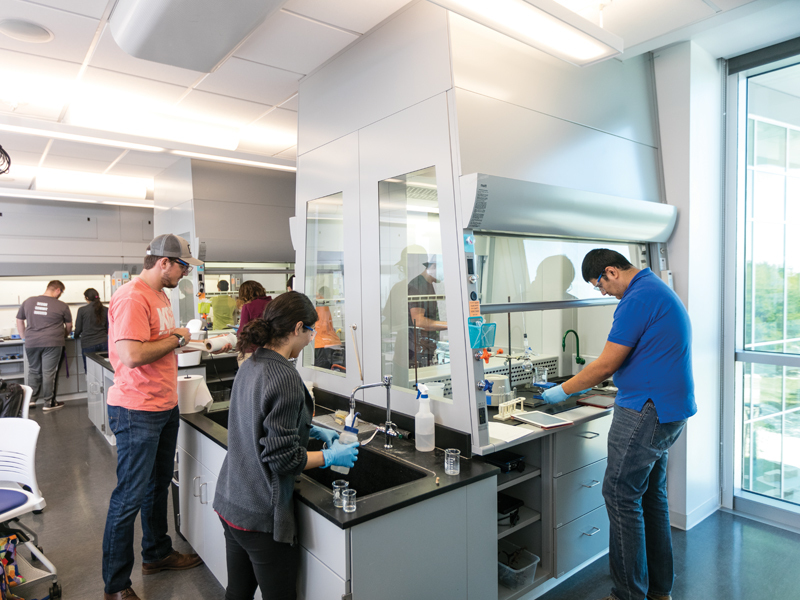 The 54,000-square-foot facility on the south side of campus opened for classes in January 2017 and houses the departments of biology, chemistry and biochemistry, and the Body & Soul program for pre-health students. 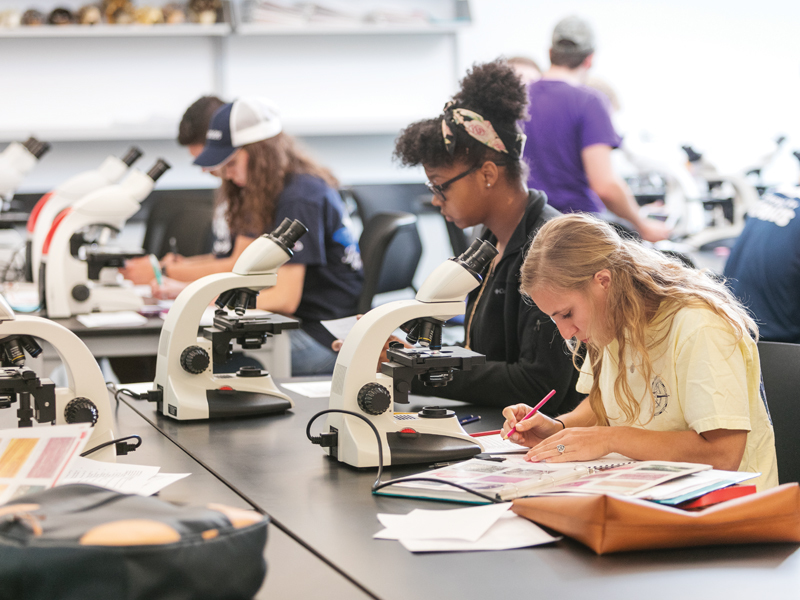 It’s a fitting home for the world-renowned level of collegiate scholarship and discovery that have taken place in the sciences at ACU for generations, with large laboratories and classrooms boasting state-of-the-art equipment and modern designs. ACU launched its Vision in Action initiative in 2014 to transform the sciences, which then were centered in the 68-year-old Foster Science Building. 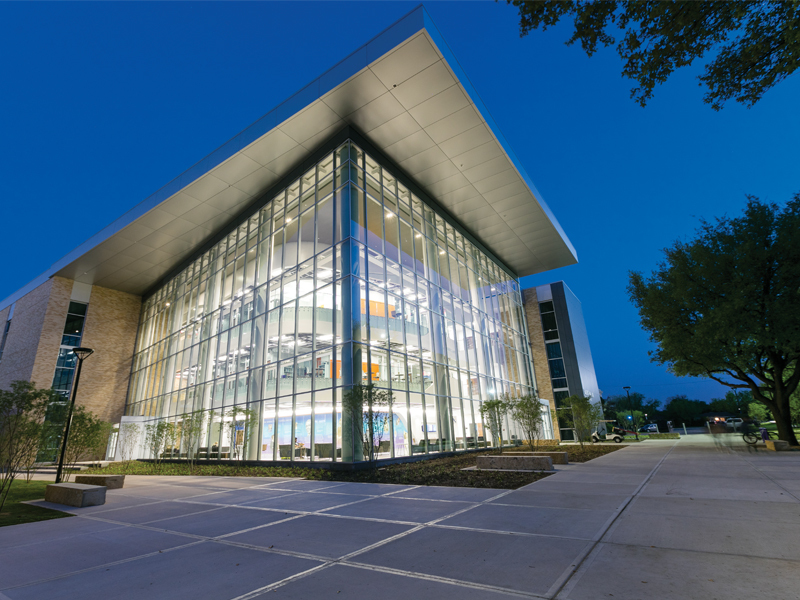 Donors across the ACU community, including Kay Onstead with a gift of $10 million, gave $45 million for the creation of Halbert-Walling and the transformation of Bennett Gymnasium to the Engineering and Physics Laboratories and Foster to the Robert R. and Kay Onstead Science Center. Bennett’s new look was unveiled in 2015, the same year Onstead’s north entry was renovated. Now that building is undergoing an internal transformation scheduled for completion in January 2018. 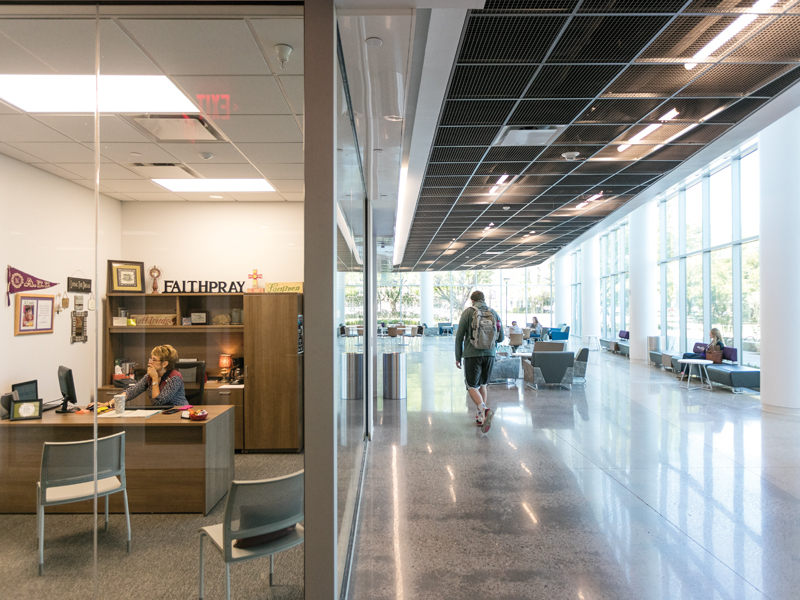 Halbert-Walling was the star attraction at its grand opening celebration in February 2017; guests marveled at the facility’s floor-to-ceiling windows, crisp white walls and inviting common areas for students. 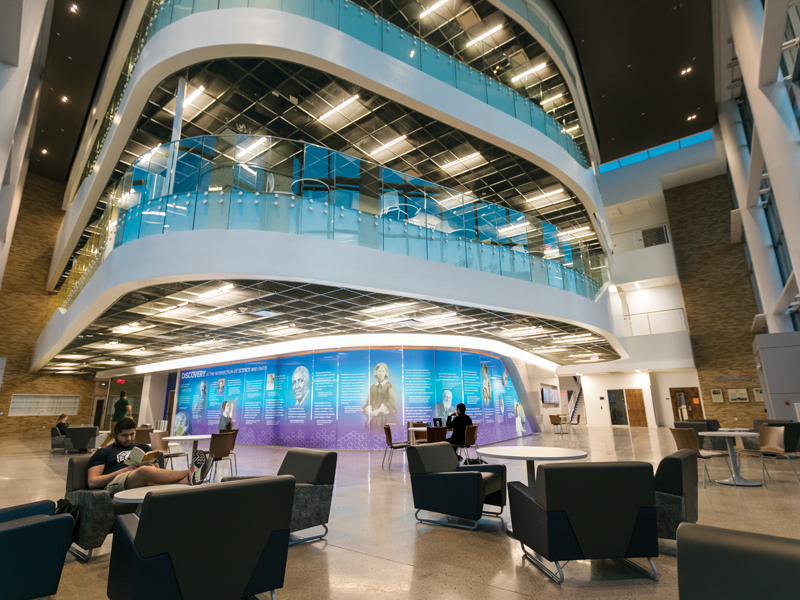 A giant mural covering one side of the new Walling Lecture Hall contains quotes from well-known scientists extolling the virtues of studying God’s creation. 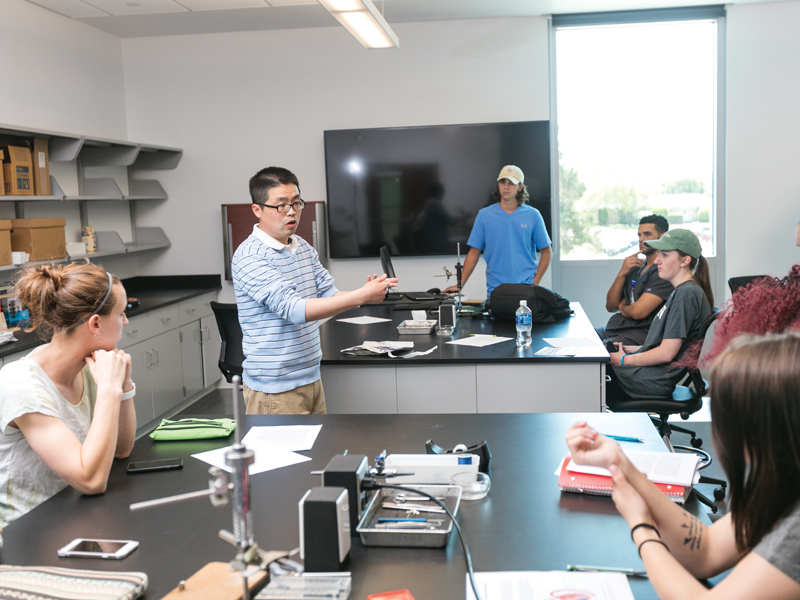 As students like Talamas have learned, that desire – to excel in one’s work to honor God – is central to the sciences at ACU, as is the importance of research. 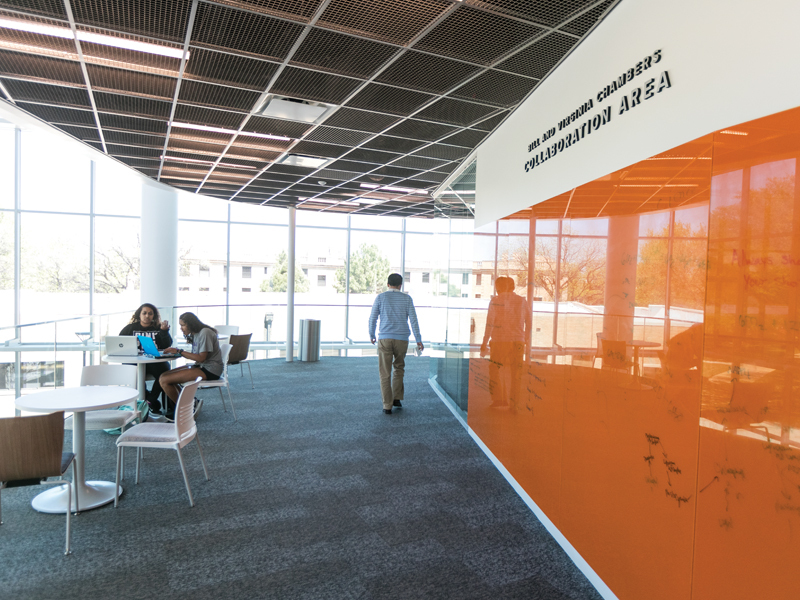 Faculty and students needed a 21st-century environment to match their mission. It also provides space for its inhabitants to reflect on the nature of their work. Present at the grand opening among their many family members were David D. (’78) and Kathy (Gay ’78) Halbert of Colleyville, Texas, whose $15 million gift through the Caris Foundation spearheaded the facility’s creation. Halbert-Walling is named for David’s grandparents, the late Dean (’30) and Thelma (Bernard ’33) Walling. Dean Walling was an ACU trustee from 1976-83 and founding chair of the National Development Council during Design for Development campaigns that built numerous iconic buildings on the campus in the 1960s and ’70s. David Halbert was effusive with praise for the new facility. “I couldn’t be more proud to be associated with this facility and [for it] to be associated with my grandfather’s name,” he said during the dedication ceremony. 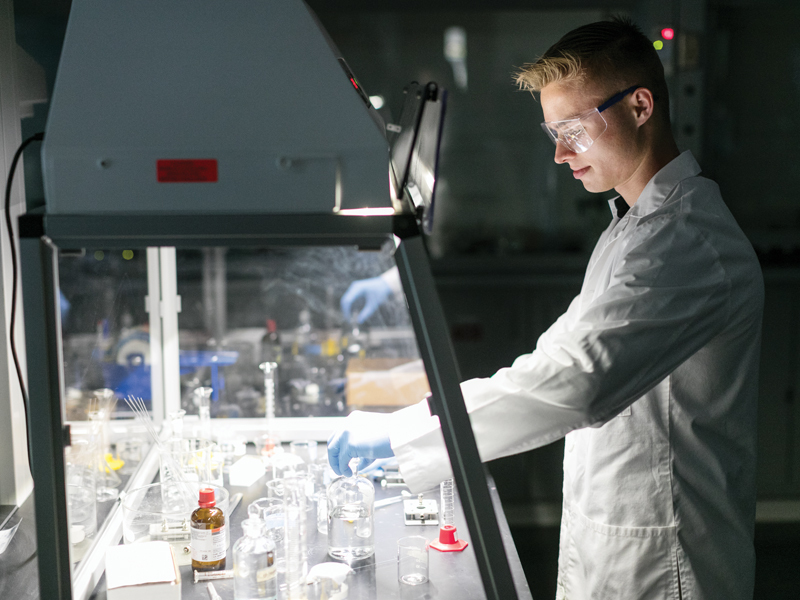 Like Talamas, sophomore Louis Sanchez from Austin gets excited when he talks about his new research labs and the opportunities he has as a biology major. In Huddleston’s microbiology lab, he and a peer are researching the development of antibiotics from bacteria, and Sanchez was awarded a scholarship to stay in Abilene during Summer 2017 to continue his studies. He chose to attend ACU based on the reputation of its science departments, he said, as well as the immediate community he felt with his professors. He’s proud to be among the first students to research in Halbert-Walling. To him, it represents the endless possibilities he sees before him, in medicine and in life.